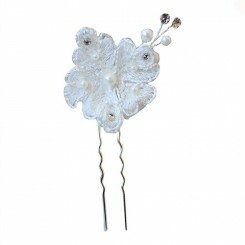 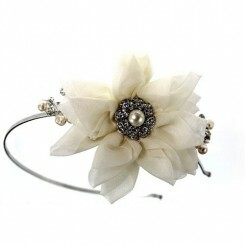 The Clarissa Flower Wedding Hair Pin is a luxuriously, large wedding hair pin in a romantic design. 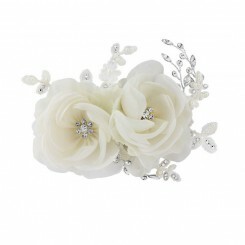 Clarissa Flower Wedding Hair Pin features a delightful trio of roses in soft ivory organza flanked at teach side with a crystal encrusted stylised floral design. 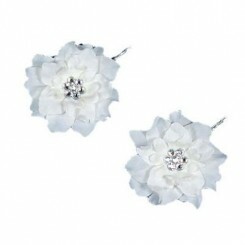 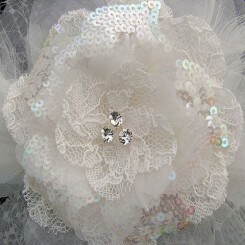 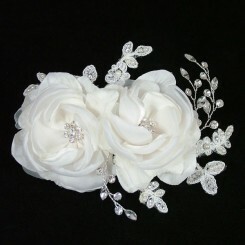 The three organza roses each have a twinkling crystal diamante at their centres also. 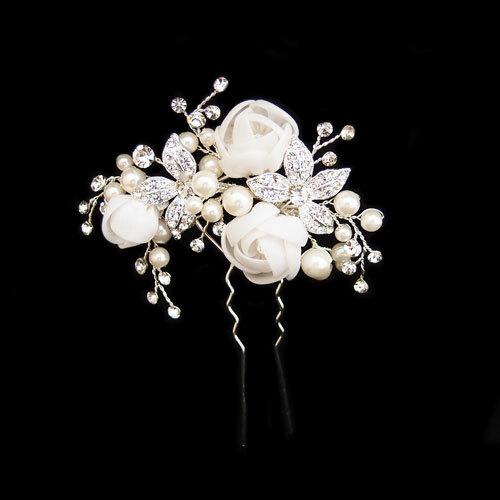 The exquisite design of this pin is further complemented by the addition of flexilbe hand wired fronds of sparkling crystal diamantes and glossy ivory pearls. 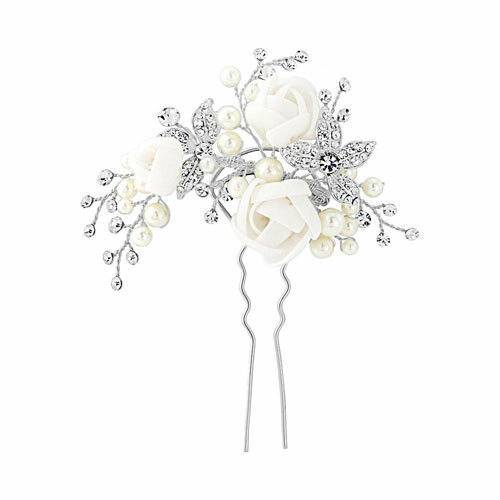 The detail of the Clarissa Wedding Hair Pin measures approximately 9cm by 8cm and is positioned on an 8cm traditional two-prong hair pin. 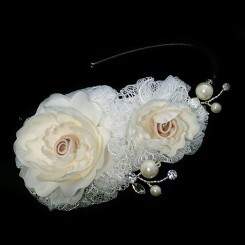 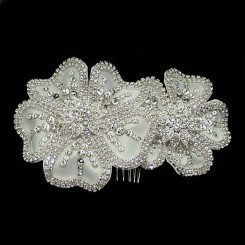 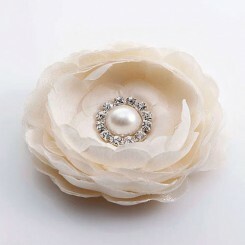 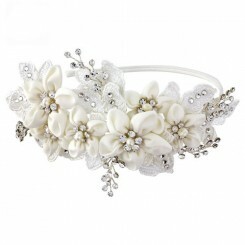 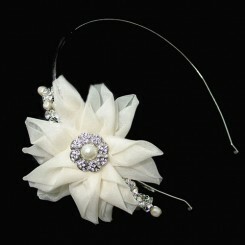 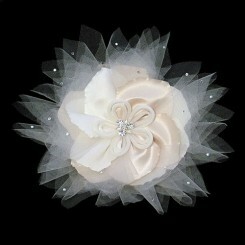 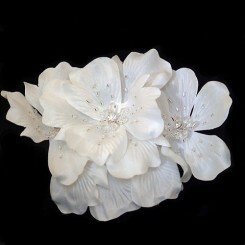 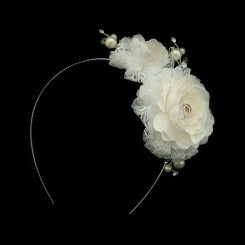 The Clarissa bridal hair pin is only available in ivory/silver.